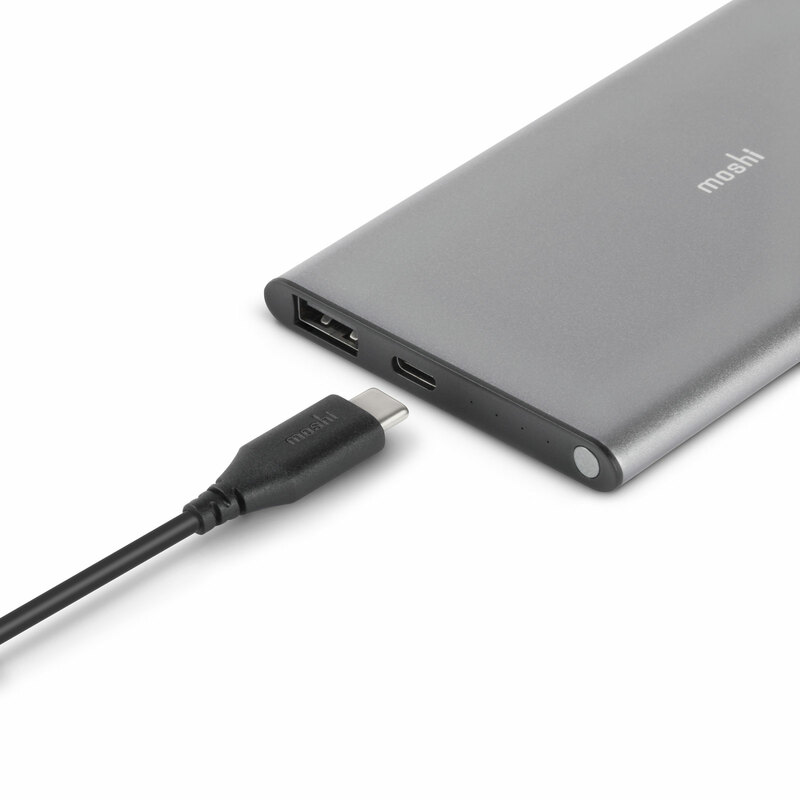 An ultra-thin USB-C portable battery to extend the life of your phone and gadgets. 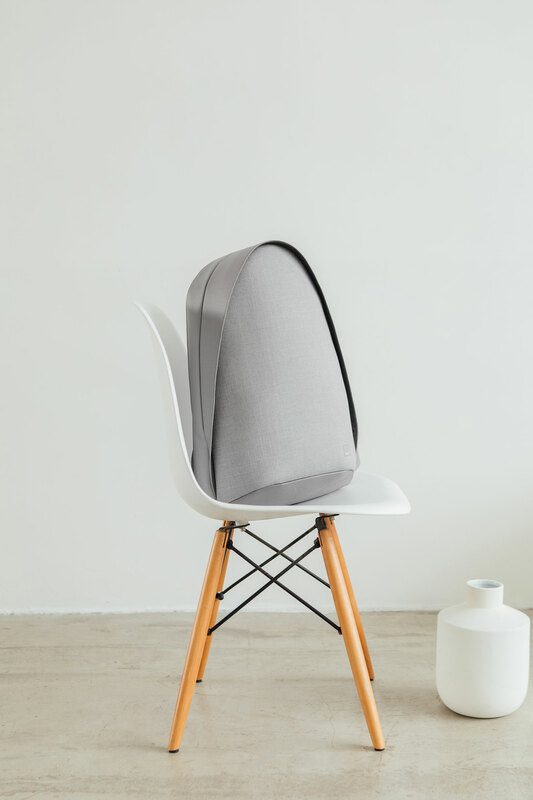 Made from aircraft-grade aluminum for added durability. 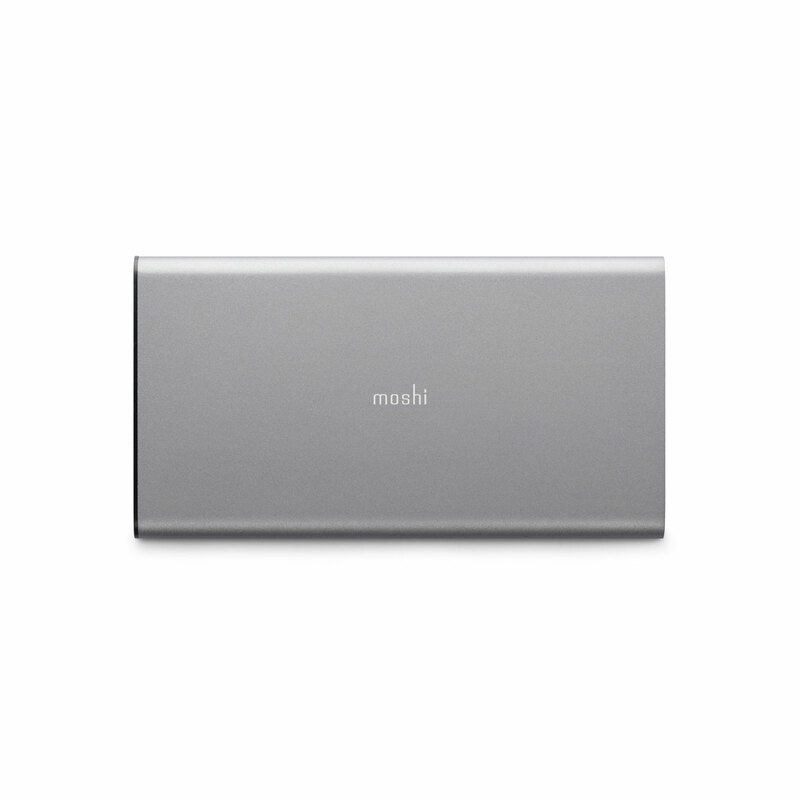 Moshi's IonSlim 5K is an ultra-thin portable battery designed to extend the life of your mobile devices, featuring both a USB-C and USB-A port for near universal compatibility. 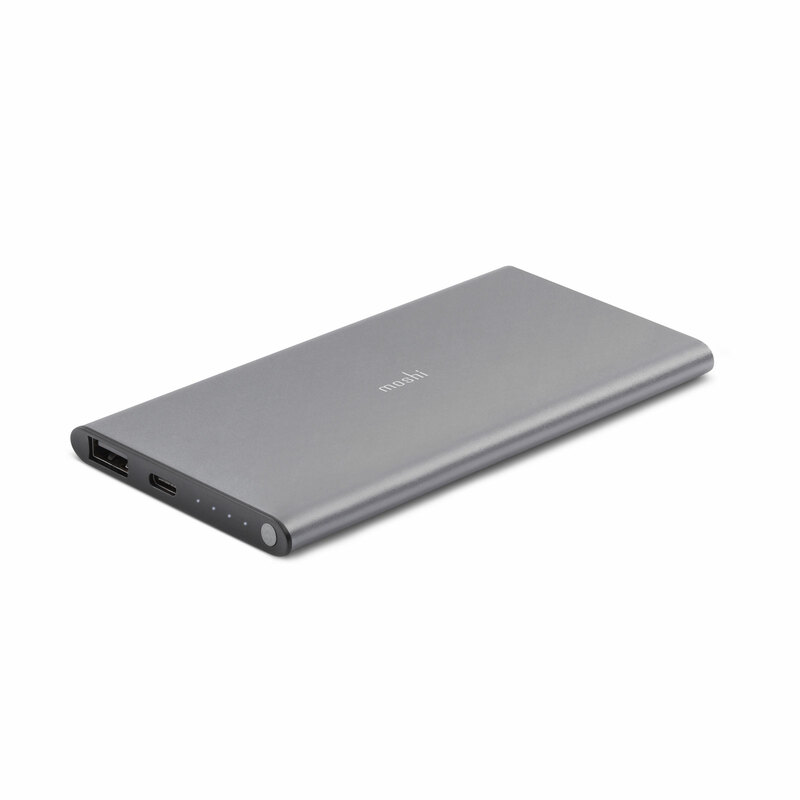 At only 8.5 mm thin, IonSlim 5K is one of the slimmest portable batteries available on the market and effortlessly slides into your pocket or purse for discreet carrying on the go. 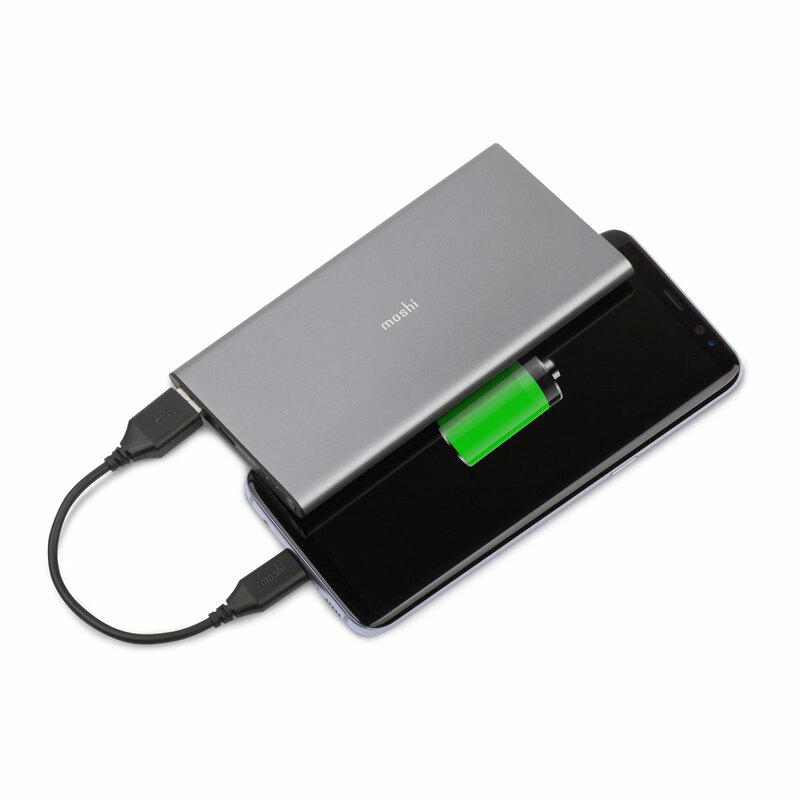 IonSlim 5K uses the latest in lithium-polymer technology to pack a capacity of 5,150 mAh into an unrivaled form factor design. 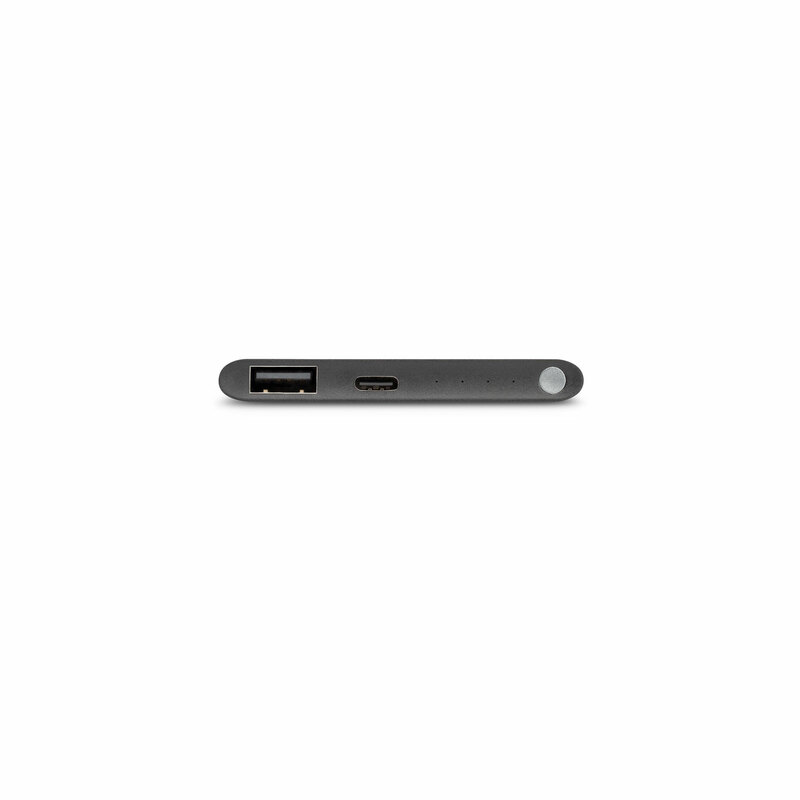 It comes with a reversible USB-C to USB-A cable that can be used to charge both your USB-C phone as well as IonSlim itself.